The size of Canada’s military force is minuscule compared to the United States, but one thing our northern neighbors do have is a damn good sniper corps. We found out just how deadly their shooters are last week when a member of the Joint Task Force 2 shot an ISIS fighter in Iraq from more than two miles away, shattering the previous world record. Using a McMillan Tac-50 rifle, the unidentified sniper shot the target 3,540 meters away from the top of a high-rise building. That’s around a half mile father than the previous record, which was a 2,475 meter shot held by a British sniper. For the soldier to hit his target 3,540 meters (3,871 yards) he would need to account for every atmospheric factor available. Windspeed, temperature, barometric pressure, the bullets yaw and the rotation of the earth would all need to be considered before pulling the trigger. What you may not know is that Canada has a long, heralded sniper tradition. Back in World War I, Francis Pegahmagabow was credited with 378 kills between 1914 and 1918. To this day, Pegahmagabow is the most decorated Native Canadian soldier in the country’s history, according to CBC News. 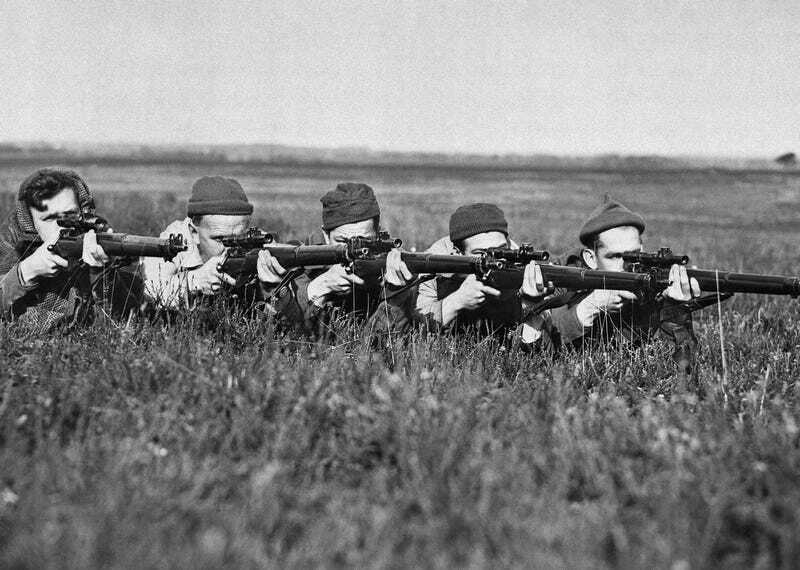 Outdoorsmen played a big role among the Canadian military’s snipers, according to Maj. Jim McKillip, a historian with the Canadian Forces department of history and heritage. Many British soldiers came from urban backgrounds, he told the Globe and Mail in 2014, whereas Canada had an abundance of farmers, hunters and trappers. This short video on Pegahmagabow’s legacy explains that he also ran intelligence messages, often going through enemy terrain, to headquarters. To put Canada’s sniper might in context, three of the top five record-breaking kills are held by Canadians. Canadian Cpl. Rob Furlong, who held the record for the longest kill until 2009, explained that Canadian snipers excel because they are trained to engage in operations that are often above their rank.